education providers across 18 locations in Victoria’s west. Land Your Career is a comprehensive portal with information about land management careers covering a broad range of themes that include water, fire, natural environments, restoring landscapes, forestry, conservation, cultural heritage, biodiversity, sustainability, parks/reserves and landscape/building design. 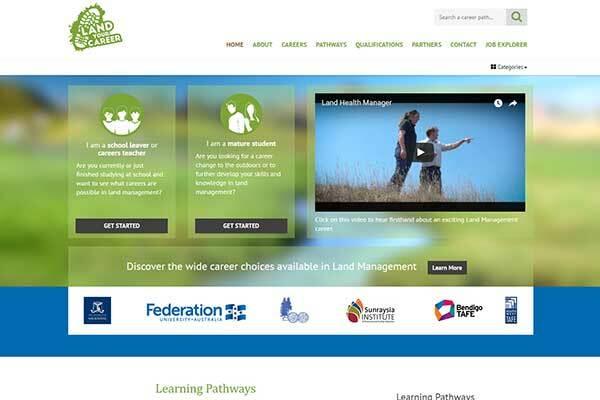 It provides school leavers, careers teachers and mature age students accurate information about pathways and qualifications required for specific land management careers. 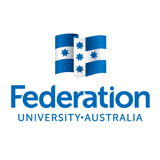 The portal was developed by CeRDI with FedUni’s Faculty of Science and Technology a consortium partner on the project. This project aims to significantly enhance opportunities for regional, rural and remote students to participate in higher education through increased collaboration and co-operation between institutes in the regionally vital discipline of land management. The ILMCV addresses the issue of the lack of regional access to higher education through the development and incorporation of flexible program design, delivery and support, increased pathway options for students and better articulation between courses and course providers across the west of Victoria. The consortium includes: The University of Melbourne, Federation University Australia, Bendigo TAFE, Sunraysia Institute of TAFE, Timber Training Creswick and South West Institute of TAFE. The ILMCV also aims to increase the networking capacity across these institutions, embed industry relevance into more levels of courses, offer teaching staff across the region professional development opportunities, and contribute to a stronger and more productive network which can leverage enhanced industry and community interactions. ILMCV brings together stakeholders from education, industry and the community to provide advice on the development of new education programs to support existing and emerging industries. It also acts as a demonstration project that can be applied to other sectors, regions and education providers, providing a template for cross-institutional teaching and learning models. Land Your Career is used to educate and inspire prospective students on the careers and roles that exist in the land management sector. Information on how prospective students can become qualified or build qualifications in this exciting area has been developed and is being disseminated online and through traditional communications approaches. The establishment of the ILMCV was funded by the Department of Education and Training through the Regional Partnership Facilitation Fund.